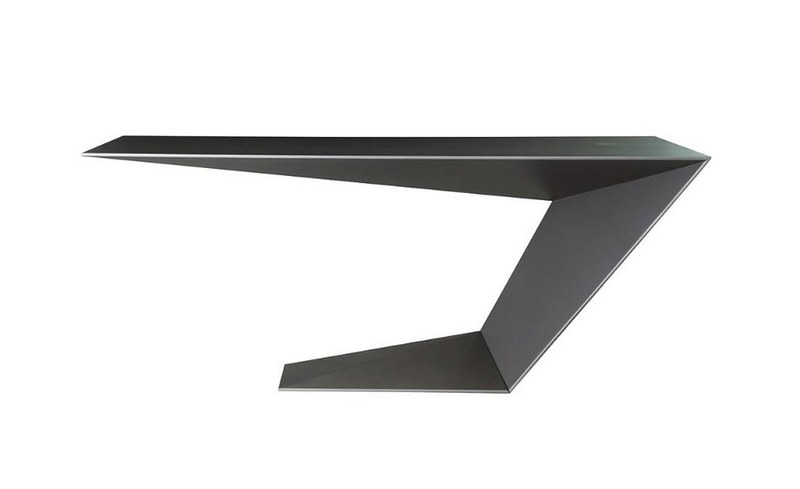 HomeBlogHome DecorFurtif Desk by Daniel Rode for Roche Bobois. 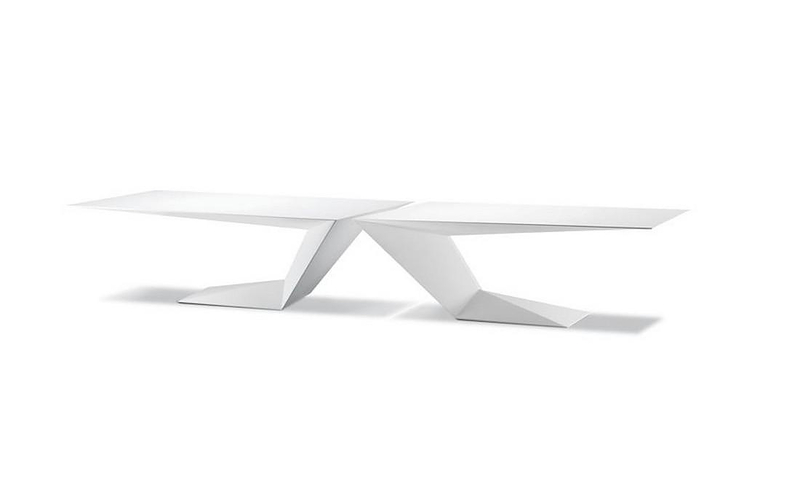 Furtif Desk by Daniel Rode for Roche Bobois. 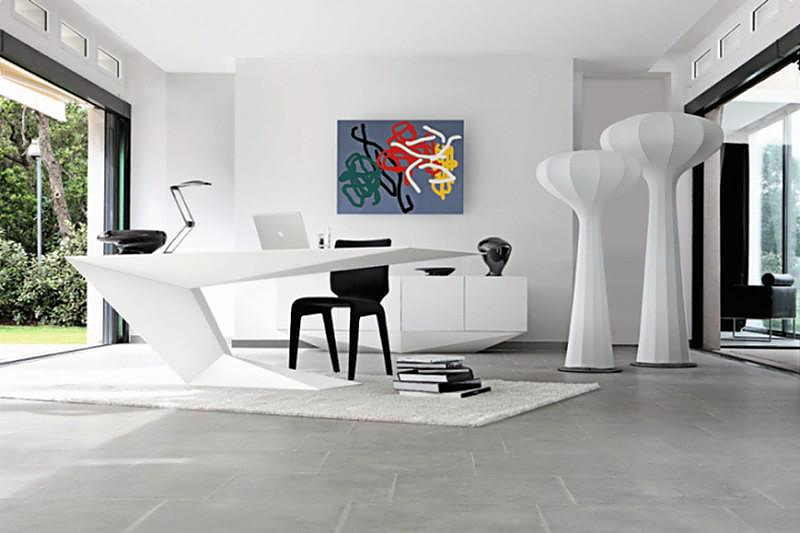 Furtif desk is a striking futuristic piece of furniture designed by awarded French designer Daniel Rode for Roche Bobois. 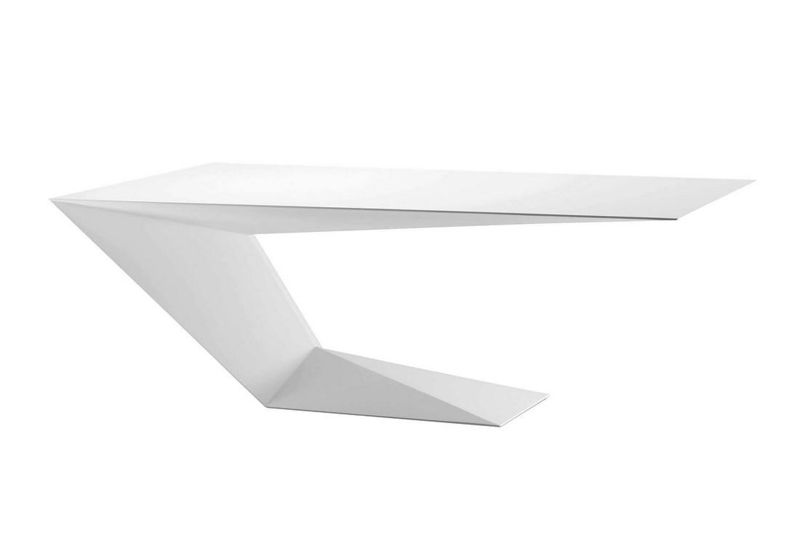 With its beveled lines and futuristic form the Furtif desk exhibits a very bold and captivating design language. The spectator is left speechless before this distinctive and dynamic writing desk. 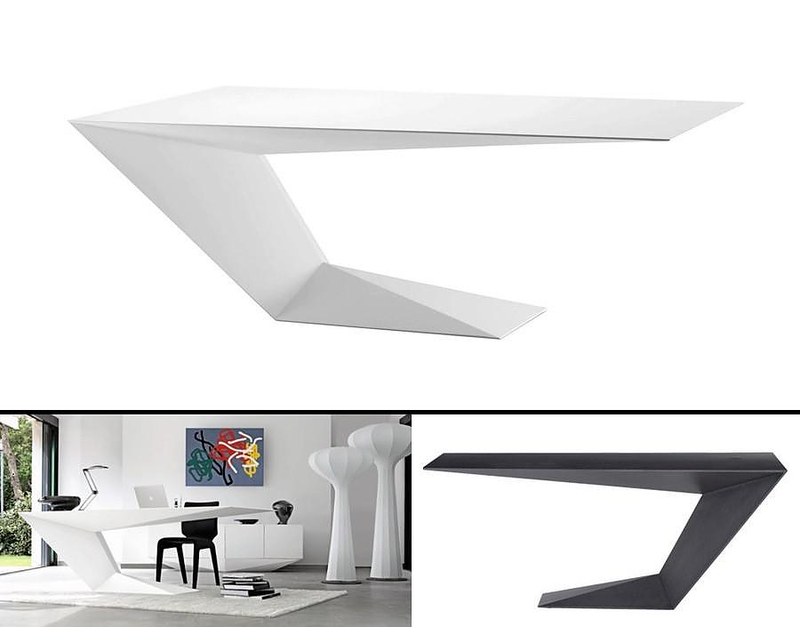 The Furtif desk seems to defy gravity with it spectacular cantilevered design and futuristic prismatic volumes, while its angular shape resembles a stealth fighter aircraft designed to spoof radar detection. The Furtif desk is part of a Roche Bobois Furtif collection, the desk frame is made in plywood and finished in solid or metallic lacquer or in veneered Alpi® grey oak finish. As part of the same collection there is also a matching filing cabinet with 3 drawers available to complement the desk an provide storage space. In addition two Furtif desks can be joined together and create a large desk suitable for a boardroom or a conference room. Daniel Rode was born in France in 1967 and he graduated as Interior Architect and Designer at Ecole Boulle in Paris. In 1992, he starts his own design company in Paris to focus his creativity on the world of interior furnishings. In 1999, he decides to move to Italy and establish Rode Design, with the aim of settling down at the heart of the creative process. He designs functional and beautiful objects, whose spirit is absolutely optimistic. His creations embody a paradoxical marriage of sturdy realism and dreamlike lightness. Roche Bobois is considered today as the world leader of high end furniture design and distribution, in addition to its positioning as a pioneer creator. For more than 50 years each model results from close collaboration between Roche Bobois, the designers and manufacturers, a concept that characterizes the brand’s strength and originality. Zanotta Cavour writing desk by Carlo Mollino. UNO Desk by Karim Rashid for Della Rovere. ORA-ITO Round Dining Table by Roche Bobois. 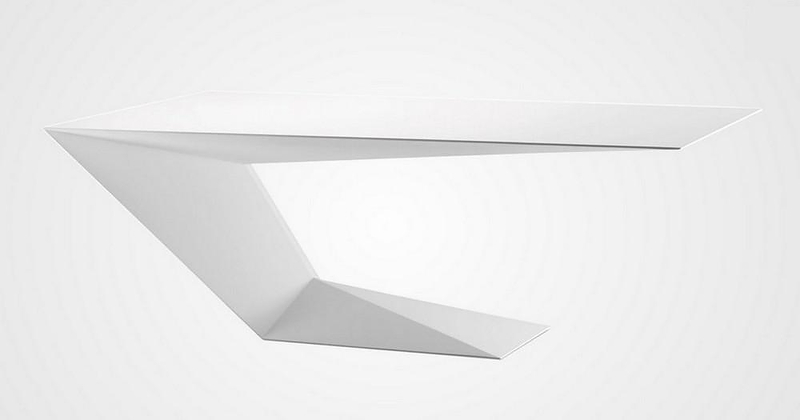 Full Moon LED Lamp by Cédric Ragot for Roche Bobois. What is the price for the desk? Hello, thank you for your comment. We do not sell this ourselves, therefore we dont know the current price. You could contact Roche Bobois and get a quote though. Just called about it today $5700 for the small one.